What is the political allure, value and currency of emotions within contemporary cultures of governance? What does it mean to govern more humanely? Since the emergence of an emotional turn in human geography over the last decade, the notion that our emotions matter in understanding an array of social practices, spatial formations and aspects of everyday life is no longer seen as controversial. This book brings recent developments in emotional geography into dialogue with social policy concerns and contemporary issues of governance. 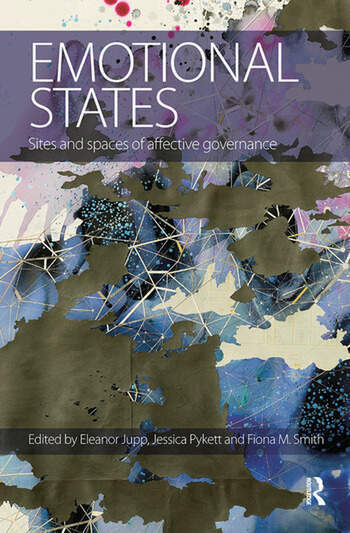 It sets the intellectual scene for research into the geographical dimensions of the emotionalized states of the citizen, policy maker and public service worker, and highlights new research on the emotional forms of governance which now characterise public life. An international range of empirical field studies are used to examine issues of regulation, modification, governance and potential manipulation of emotional affects, professional and personal identities and political technologies. Contributors provide analysis of the role of emotional entanglements in policy strategy, policy implementation, service delivery, citizenship and participation as well as considering　the emotional nature of the research process itself. It will be of interest to researchers and students within social policy, human geography, politics and related disciplines. Eleanor Jupp is a Lecturer in Social Policy at the University of Kent, UK. Jessica Pykett is a Senior Lecturer in Human Geography at the University of Birmingham, UK. Fiona M. Smith is a Lecturer in Human Geography at the University of Dundee, UK.